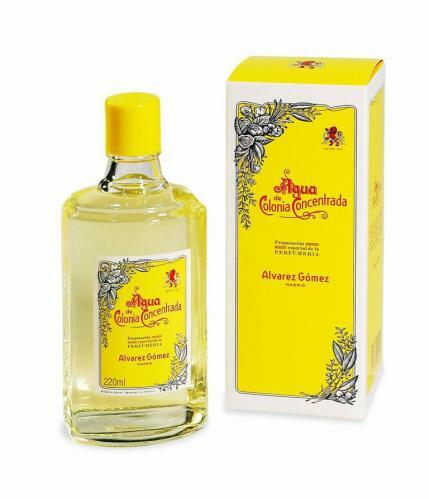 Alvarez Gomez Agua de Colonia, Eau de Cologne, a fresh, clean and natural-smelling cologne enhanced with essential oils of the Mediterranean. Lemon, rosemary, geranium, Spanish lavender, bergamot; it is all here in this quintessential Spanish fragrance. This is a pour bottle. Spanish cologne is light, not greasy, and does not have the alcohol bite that often plagues other products. This is a refreshing fragrance, and the SoapBar gave me a sample of bath salts and shower gel to try as well. This agua de colonia is not sweet but delighfully citrusy to splash on my neck and pulse points on a hot summer day.